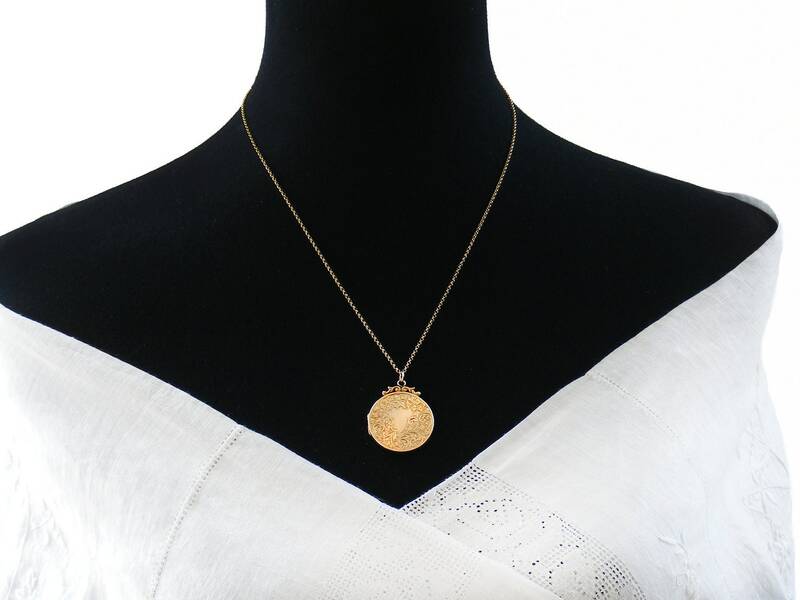 An elegant Edwardian gold locket in nine carat solid gold, made in 1912 and still beautiful - a special piece that would be perfect as a bridal locket. 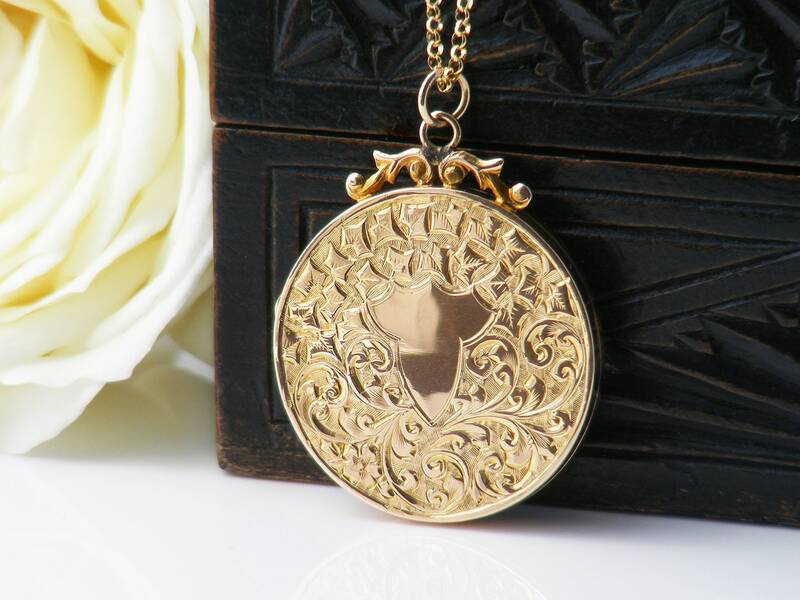 This expertly made antique locket has hand chased Ivy leaves and Acanthus scrolls around a central blank shield cartouche to the front, giving lovely contrast of pattern and polished gold. More interlacing scrolls to the back with a single pretty Forget-me-not flower. Yellow gold with the mellow rosy tint of old gold. 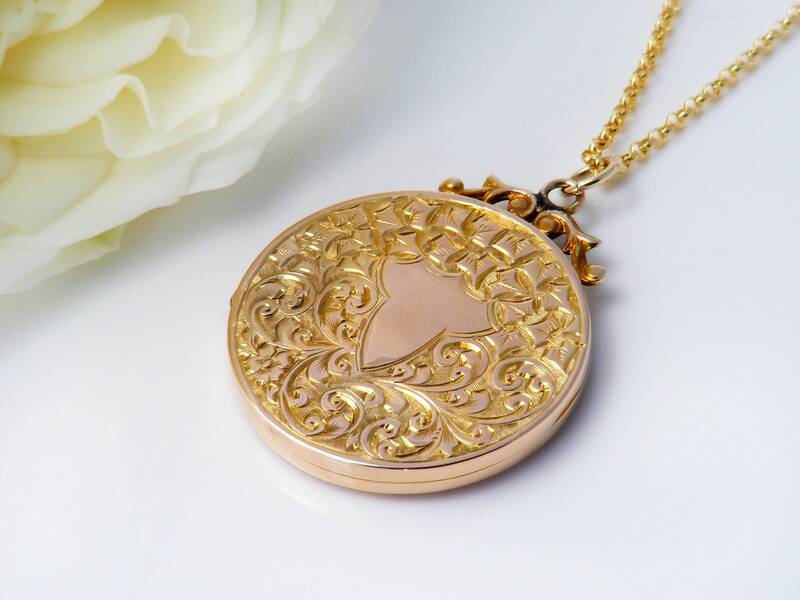 The locket is solid 9ct gold, with full hallmarks for the assay office of Birmingham, England and the year 1912. A maker's mark 'A.B.S' is also present. 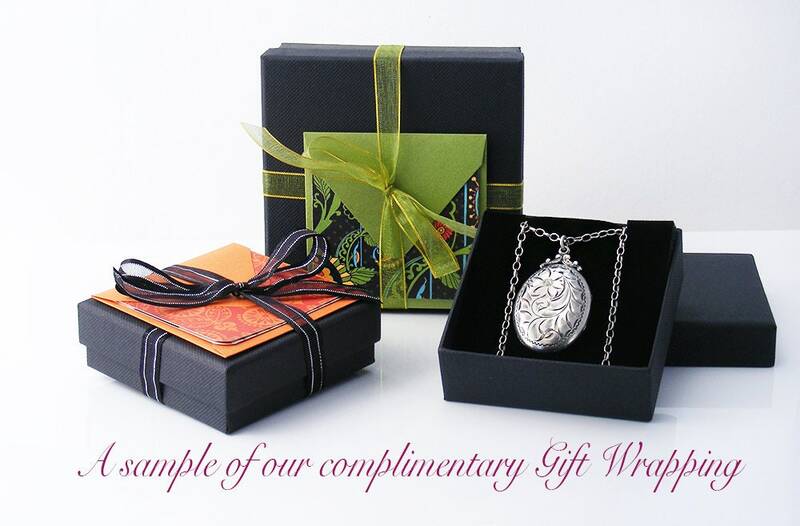 The inside of the locket has a single photo rim and a new black card liner. Size: 1.14 inches or 29mm diameter and the total drop from the chain is 38mm. 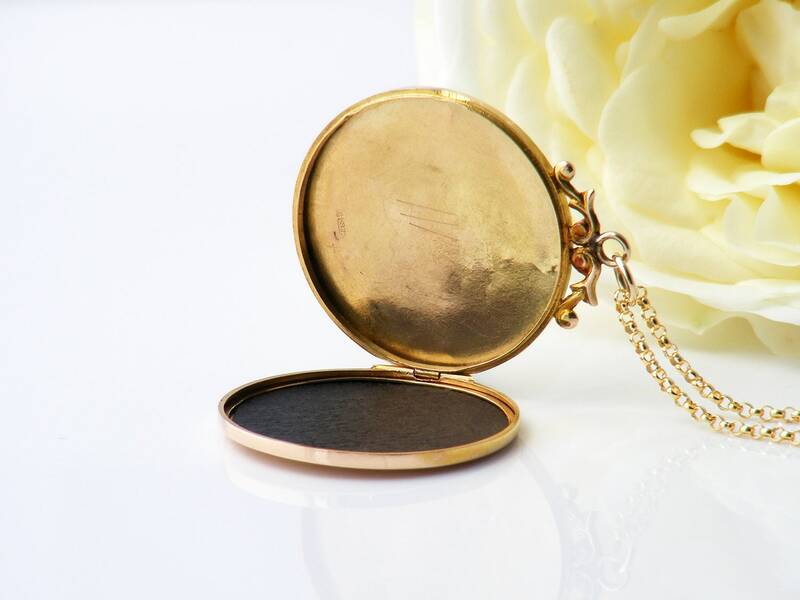 The locket is 4mm in thickness. 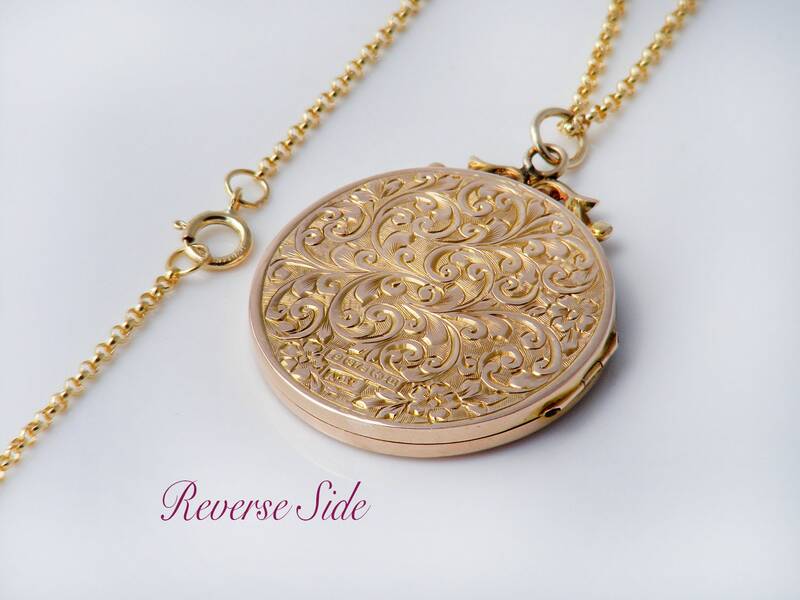 The locket is presented on a new 20 inch or 51cm chain, 14ct gold fill and stamped as such on the clasp. Image 3 shows the locket and chain on a life size torso. Age: 1912 - 106 years of age. Condition: Excellent. Closes neatly with no gaps, the beautiful hinge is perfect, the locket has a nice soft cushion closure as it shuts, no dents or scratches. Notes: the locket is light and has some flex in the covers, quite common in Edwardian lockets. Any black marks are camera reflections in the polished gold. A fine antique locket from the late Edwardian era that is very elegant. Well designed and timelessly lovely, an heirloom piece of Edwardian gold.